Sharpton has taken offense with the characterization of being a “rat”, claiming instead he was the “cat who got the rat” but he’s confirmed the WILD story….he was a confidential paid FBI informant. After the news came to light, Mr. Sharpton admitted helping law enforcement officials by keeping tabs on Mafia contacts in the 1980s. Mr. Sharpton indicated he would cooperate again if he felt his life was threatened. Mr. Sharpton was known by the FBI as “CI-7” — short for confidential informant No. 7 — and began working for the agency in the mid-1980s, the report said. 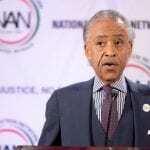 From the report: “[The Smoking Gun’s] account of Sharpton’s secret life as ‘CI-7’ is based on hundreds of pages of confidential FBI affidavits, documents released by the bureau in response to Freedom of Information Act requests, court records and extensive interviews with six members of the Genovese squad, as well as other law enforcement officials to whom the activist provided assistance. Reports say he wore a wire and cooperated with the Feds. Hmmm, how about cooperating with the IRS Al? Those are Feds too you know. The Rev. Al Sharpton has served as an outspoken civil rights activist, presidential nominee, television host, and, if a new report is to be believed, a key informant to the FBI. According to a lengthy report by website The Smoking Gun, Sharpton, 69, served as “Confidential Informant No. 7” in the 1980s, playing a prominent role collecting information on New York City’s most prolific mobsters. Sharpton has denied the claims. In a Tuesday morning press conference, Sharpton said that he wasn’t an informant but rather he was merely cooperating with the FBI. “I’m not a rat, I’m a cat,” Sharpton reportedly said, according to journalists live-tweeting the event. He continued that the only thing he was ashamed of were “those old fat pictures” that have been shown in conjunction with the reports. The Smoking Gun’s report — based on interviews, court records, and hundreds of pages of documents obtained as the result of requests invoking Freedom of Information Act — claims that Sharpton worked for a joint FBI/NYPD crime task force that was primarily pursuing the notorious Genovese crime family. Sharpton allegedly was sent out to talk to mobsters with a bugged briefcase. The website said that information he obtained led to the bugging of two Genovese family social clubs, three cars and a dozen phone lines approved by eight different federal judges. As “CI-7,” the then-portly Harlem leader would tote a customized Hartmann briefcase equipped with an FBI bug to hobnob with members of some of the city’s most notorious crime families, the site said. Sharpton’s main job was to dig dirt on the Genovese crime family, according to sources and court documents. He was so good at “playing dumb’’ that he wound up helping to bring down such names as Venero “Benny Eggs’’ Mangano, Dominick “Baldy Dom’’ Canterino and even the muttering “oddfather” of Greenwich Village, family boss Vincent “Chin’’ Gigante, the site said. 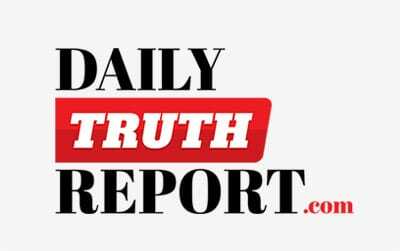 He was a “very reliable informant, and his information ‘has never been found to be false or inaccurate,’ ” the report said, quoting a 1986 court document. Stacey Abrams Says GA Fetal Heartbeat Law Is "Evil"